If you have ever had to stay late at work or have arrived home late at night with no idea what to make for dinner, you know just how frustrating these circumstances can be. Instead of venturing out to pick up the closest fast food in your area, there are many other alternatives that can make your life much easier! That’s why, in today’s article, we will be outlining the straightforward process for ordering food online with Restaurant Connection, the best takeout delivery service in Michigan! If you are located in Royal Oak, Novi, Auburn Hills, Warren, Sterling Heights, or the surrounding areas of Michigan, Restaurant Connection is here to offer you the most in convenience. As the leading online food delivery service, we are committed to you, the customer, and that starts by ensuring that you receive your food quickly and accurately! If you are thinking about ordering meals online, look no further that Restaurant Connection. Learn just how easy it is to have meals delivered to your door by reading more below. To begin placing your takeout order for delivery with Restaurant Connection, simply enter your street address and click the, “FIND ME FOOD!” button located on our home page. Once you have entered your address, you will be served with a number of restaurants in your area for you to choose from. This is the easiest and fastest way to find food delivery in your area, and we are always available to assist you with placing a delivery order if you require guidance. After you have provided your address, you can then select from a wide variety of restaurants near you! There are endless restaurants to choose from that range from Chinese and Lebanese to Italian and American cuisine. For your convenience, you can view every restaurant’s menu and ordering hours directly on our website. After finding the perfect restaurant for your needs, you will then be able to choose from mouth-watering food and refreshing beverages all at a price that you will love. Once you have selected the food that interests you most, you will be prompted for payment to complete your online food delivery order. It’s that simple! Most online food delivery orders can take an hour to arrive at your door, giving you plenty of time to finish last-minute homework assignments or any other prior obligations that require your attention. We hope that you enjoyed learning just how easy it is to have the best food in Michigan delivered directly to your doorstep. 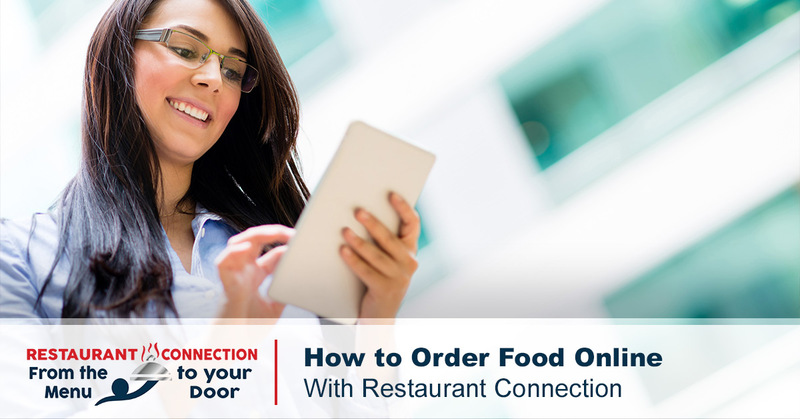 If you are wanting to place an online food delivery order today, don’t hesitate to visit Restaurant Connection’s website today! We offer the widest selection of restaurants to choose from and our commitment to you, the customer, is second to none. To learn more about our food delivery service, or to browse our entire directory of restaurants available for delivery, view our restaurant directory now!